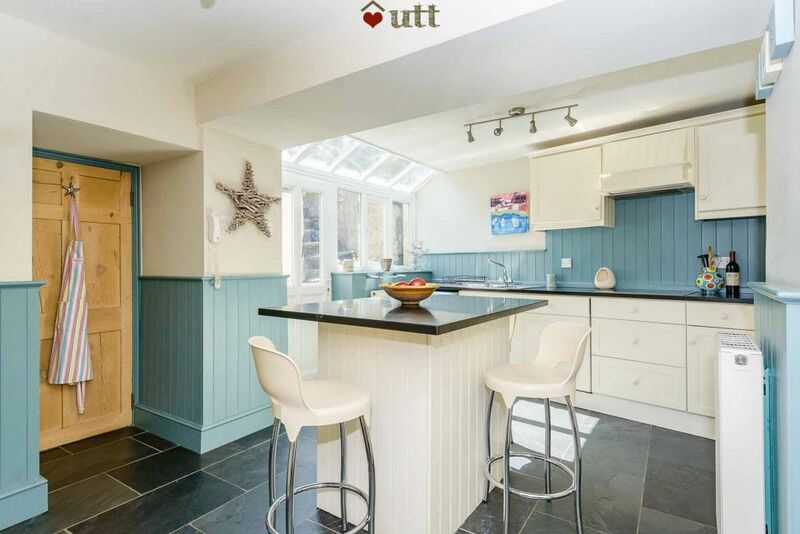 Luxury family summer beach house for 8 at New Quay, Cardigan Bay, West Wales. 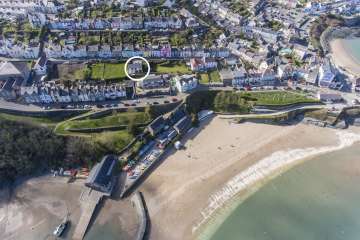 Directly over-looking the bay and beach this is by far the best holiday cottage in New Quay, Ceredigion. Fabulous interior. 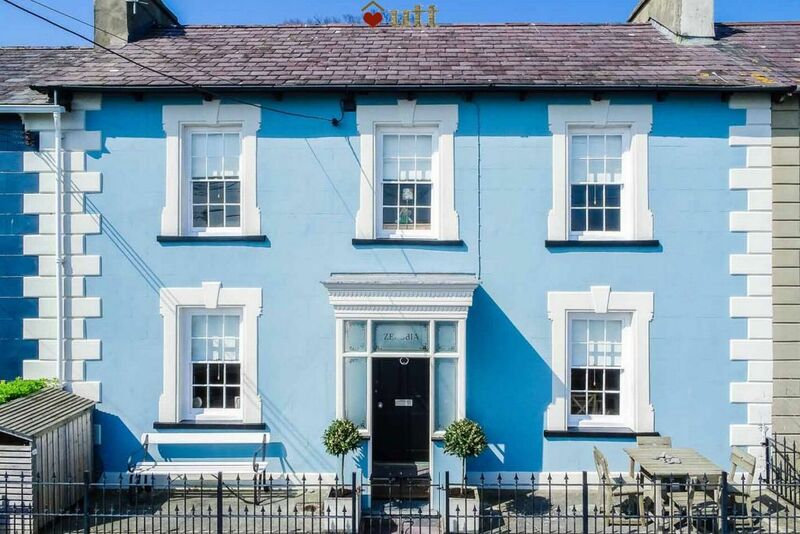 Zenobia is an elegant Georgian townhouse overlooking the safe, clean sandy beach of New Quay, Cardigan Bay, West Wales. It has been renovated to a high standard by a professional interior designer, and will appeal to those who like a bit of luxury. 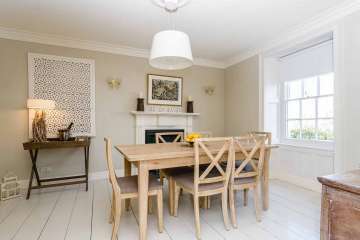 Zenobia is a perfect house for families and get togethers, sleeping 8 in four bedrooms. It has stunning sea views and tons of character. You will wake to the sound and sight of the sea. 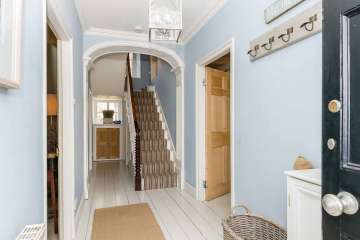 The house is on a quiet dead-end road, with the coastal footpath at its end. 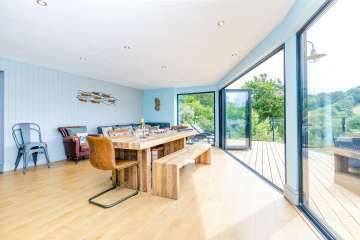 This is our best property for seeing the local colony of bottle-nosed dolphins - you can watch them from your window if they are in the bay, or boat trips are available from the harbour below. The property is entered up two steps. 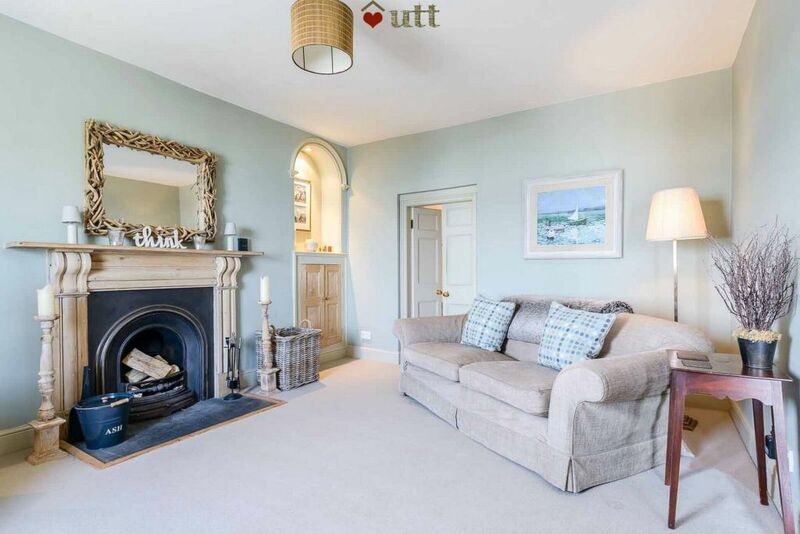 Sitting room with open fire (first basket of fuel supplied). Large television with digital reception, access to Netflix (remember your log-in details!) and DVD player. Views over the bay. There is an iPod docking station - bring own iPod. 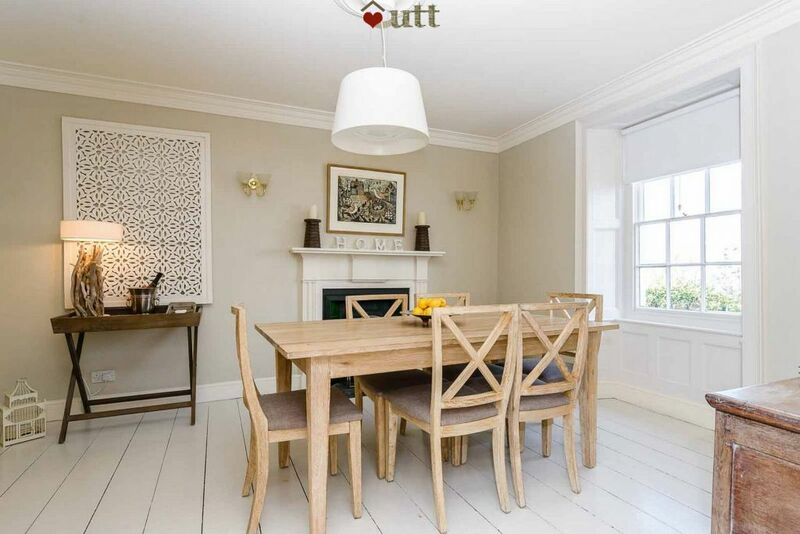 Dining room with quality limed-oak dining set for 8. Views over the bay. 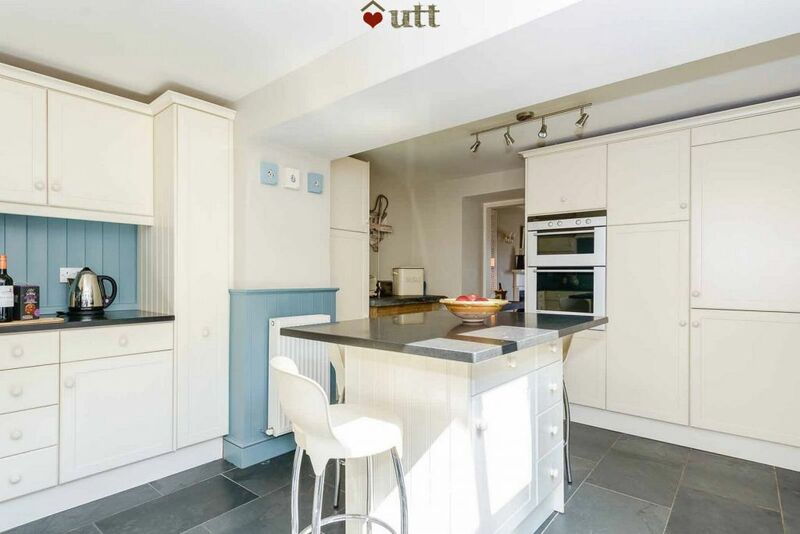 Kitchen (to the rear) is equipped to a very high standard with good quality appliances. You'll find a hob & extractor, 2 Siemens ovens, dishwasher, Nespresso style coffee machine and Dualit toaster. Black granite work surfaces and a washer-dryer. Fridge and separate freezer. No microwave. 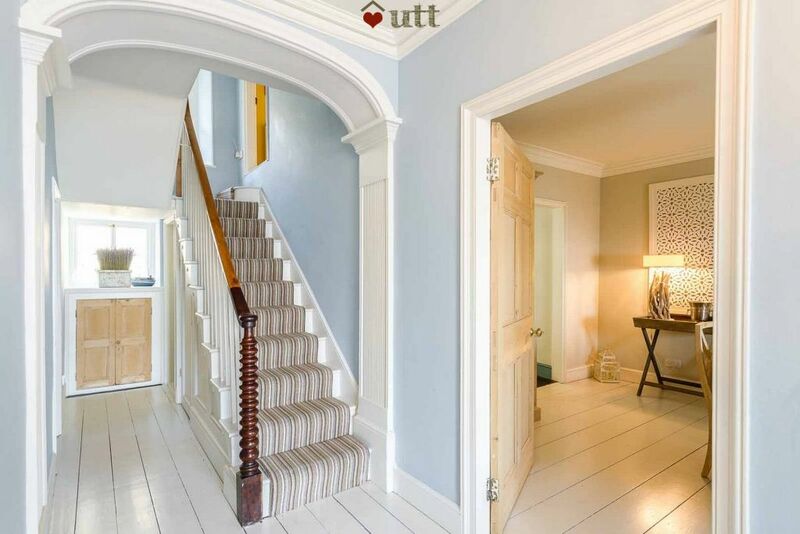 Door to rear garden, and another directly into dining room. Bedroom 1 has a kingsize bed facing the views of the bay. As with all beds the mattresses are of excellent quality. Bedroom 3 has a bunks of standard width (will fit an adult) and very good quality. Views across the bay. 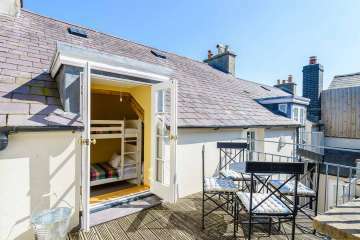 Bedroom 4 again has good quality bunks, and French doors onto the rear patio terrace. 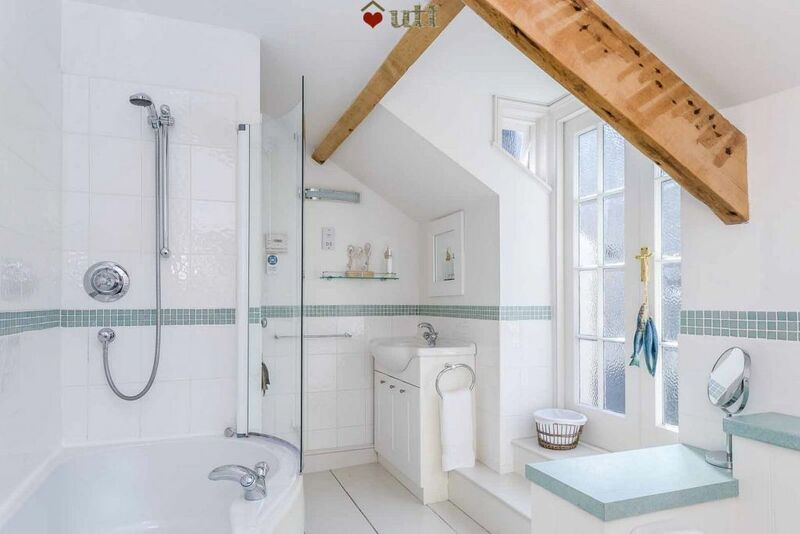 Bathroom is of a good size with shower over bath, two handbasins and French doors that open onto a Juliette balcony. To the front there is a small enclosed seating area with bench and small patio set. To the rear is a good-sized enclosed garden on several levels. There are two further sets of patio furniture. Note that the steps between some levels are very steep. There is a good quality charcoal barbeque (guests to provide charcoal, available in local shops). The rear garden has good views over the roof to the bay. 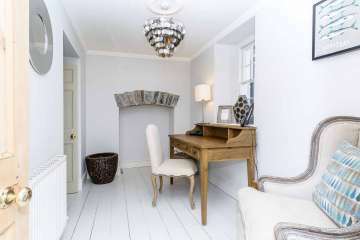 The cottage is fully centrally heated (price included) but also has an open fire in the sitting room for cosy nights in. Parking - there is on-street parking in front of the house for one (sometimes two) cards. Bollards are used to prevent tourists taking the spaces. Further parking in public car park a 2 minute walk. 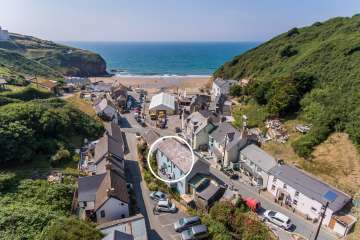 Luxury coastal barn conversion with fabulous views..
Llangrannog, a pretty seaside village in Ceredigio.. This our sixth visit to Zenobia over a ten year period. The children and I love the sea view cottage - amazing home with cliffs that climb from the garden path up to the coat line and sandy beaches. We had festival fun this summer with kayaks, climbs and wildlife discoveries including dolphins, sea anemones and moon jelly fish. Thanks for sharing such a beautiful home with us. Absolutely fantastic holiday home in New Quay close to the sea; a very clean and stylish home with all that you could wish for although we spent lots of time exploring our 5 year old son adored the bunk beds and was very happy to come back to his ‘seaside’ home. We would definitely come back. This was our 3rd stay at Zenobia. 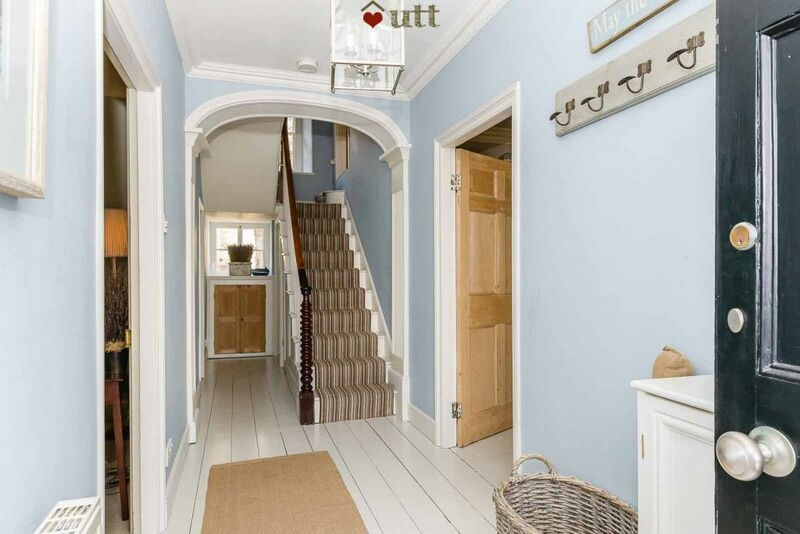 It's a lovely house that is very stylishly decorated. 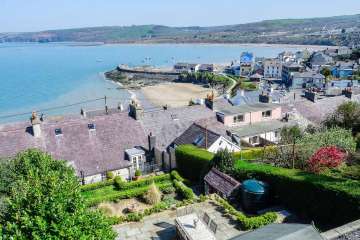 New Quay is a lovely little town with some stunning beaches near by. We will be going again next year. Gorgeous house with wonderful bay views. 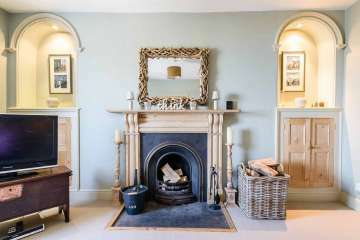 Beautifully furnished and decorated and so nice to have an open fire, too. The children loved the bunk beds and although the garden was steep, they disappeared up to the top every day to play. Kitchen really well equipped and the washing machine a godsend! Thank you for a fantastic stay. We had a lovely time at Zenobia again. The change of owners since we were last there hasn't made any difference to how comfortable and welcoming this house is. This was the first time we've been away like this at Christmas and it was perfect - we were on the beach every day (New Quay, Llangrannog and Penbryn, had two meals out and generally just enjoyed being in the house, by the fire, and relaxing. We have just returned from 4 glorious nights at Zenobia. We knew the house was special but it surpassed our expectations. Such a wonderfully stylish, well equipped, well positioned yet cosy house by the sea. We had no reason to get in the car all 4 days, opting instead to shop locally and explore New Quay and enjoy memorable cliff top walks from the doorstep. We enjoyed lunch in the garden in November. What a privilege to have stayed here. A lovely stay in the beautiful Zenobia. 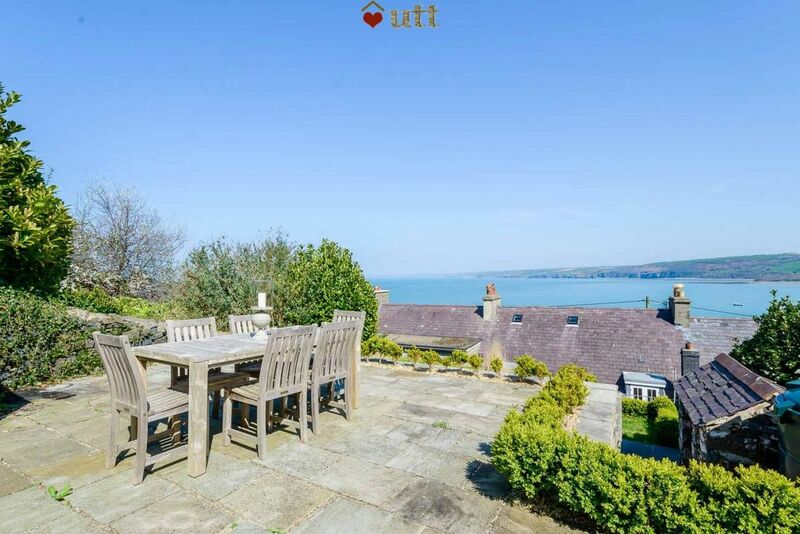 Stunning views of the sea and quay. It was a real treat to wake up to the spectacular views. 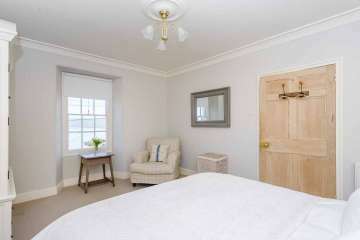 The house is very spacious and caters for all your needs. We will be back. We have just returned from the lovely Zenobia.... For years I'd been coveting a holiday here and now our kids are all fairly fleet of foot we decided to go for it! (There is a lovely terraced garden at the rear of the property that might not be relaxing with toddlers...) All of us agreed that New Quay is a really relaxing place to be for a week...we walked to the beach each day and went to the beaches, went for lovely runs, spotted Dolphins playing off the pier, rented kayaks and built sandcastles. Everyone we met here was super friendly and enthused ant the place...quite rightly as its so unspoilt and tranquil in comparison to some places in Cornwall but with loads to do and beautiful views 24/7. The house was large enough for two families to enjoy time together and feel spacious. We had a cosy fire on colder nights and sat out front sipping coffee in the morning sun.....just so so very. Refreshing thank you for a wonderful stay. We shall return! We had another lovely stay in Zenobia. 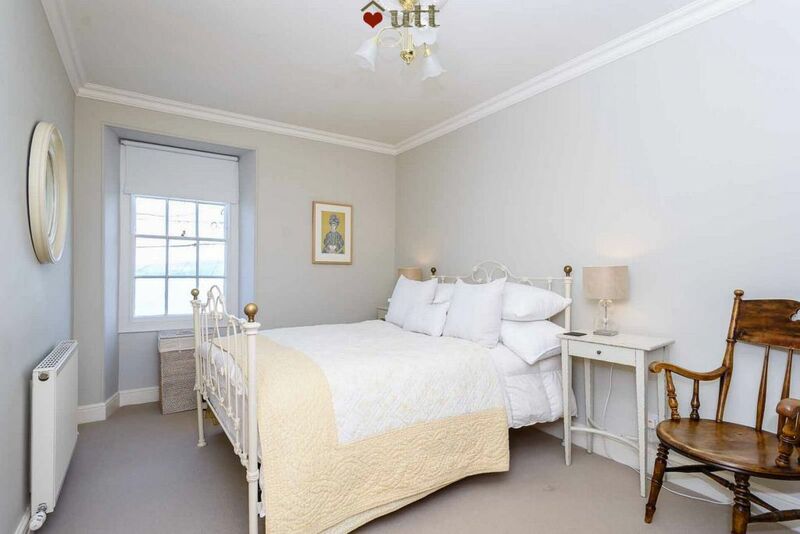 We were delighted that we were able to book it as we saw that it had been on the market, but the new owners have kept the high standard of furnishings and you wouldn't know it had changed hands. 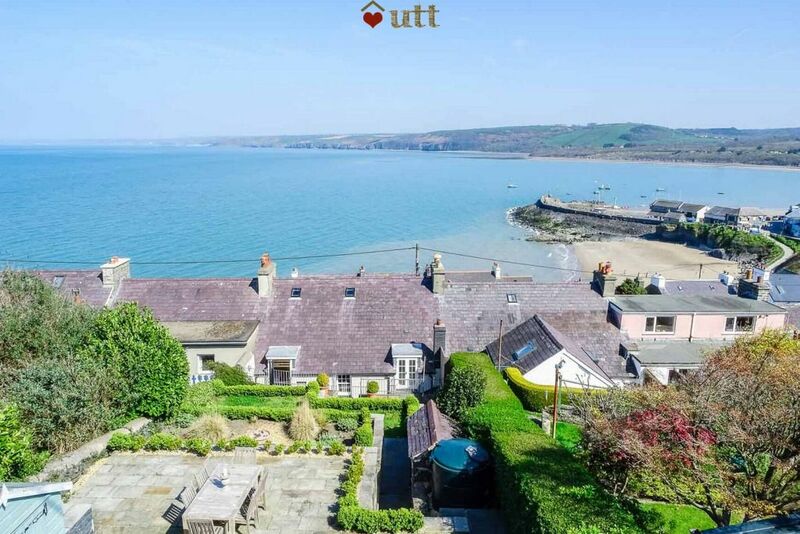 A delightful house in a great location: definitely a contender for the best view in Wales. We are looking forward to coming back next year. 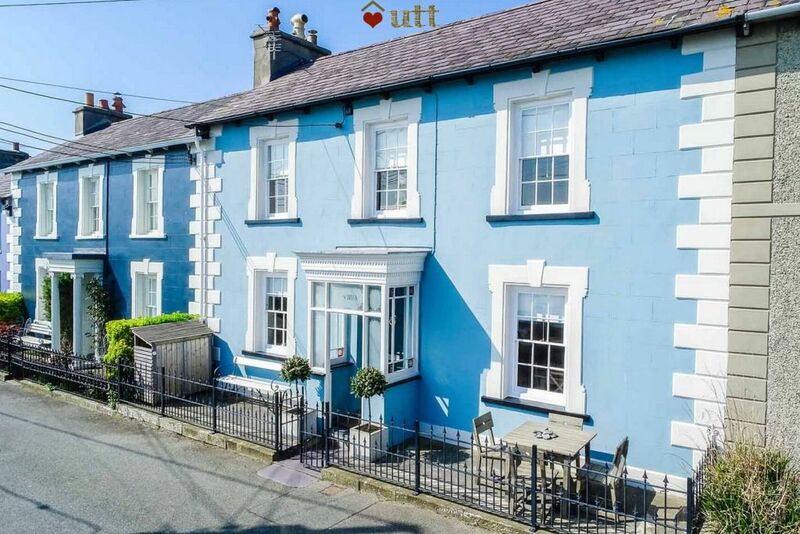 A lovely Geogian house with great views of Cardigan Bay. The house had everything we needed including a perfect barbeque area. Spotted dolphins on our first morning from the breakfast table! Great walks. Good cycling especially if you like hills. Beach excellent with lots to do. A fantastic holiday by the sea. Would love to stay again. Fantastic fifth visit to Zenobia. We love the house with its views of the sea and the morning runs along the cliffs behind the house. Perfect beach weather with both baby and child playing in the sea. The food and coastal cliffs are amazing. Thank you! 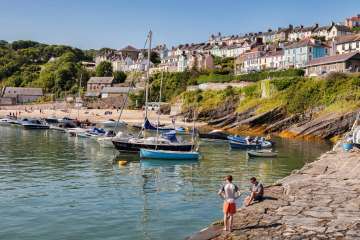 We have just returned from a wonderful few days at New Quay and couldn't have asked for a better place to stay. 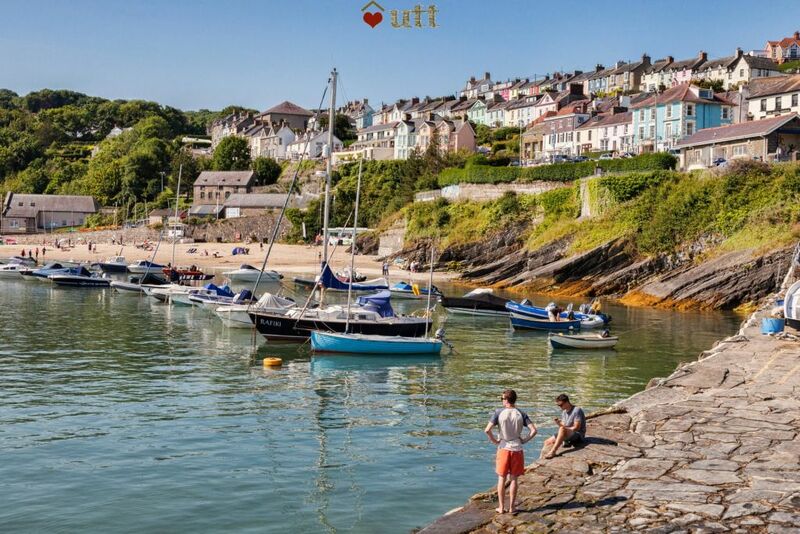 New Quay is a lovely, unspoilt, seaside destination and the children had endless fun just enjoying the simply pleasures this kind of holiday brings...messing around on the beach, crabbing and eating ice cream of course. 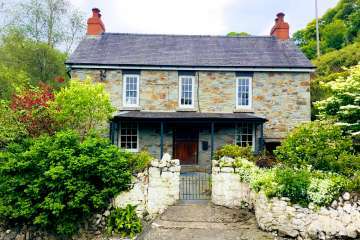 However, what really made the holiday was having the opportunity to stay in such a wonderful house. 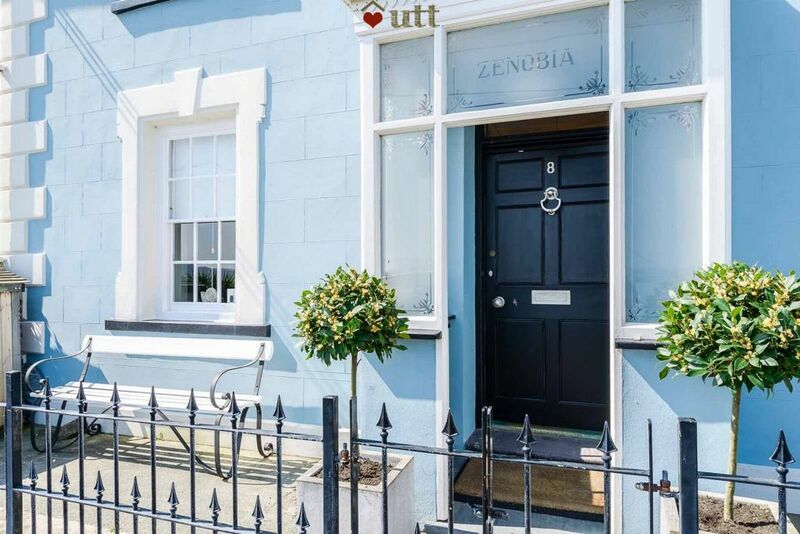 Zenobia is the perfect seaside retreat and every comfort has been catered for. We truly felt at home...so much so we didn't want to leave and Rebecca the owner couldn't have been more helpful. We can't recommend this place highly enough...book it, you won't be disappointed. We will be back. Beautiful, luxurious property situated in an equally beautiful part of the world. Dolau beach is 1 minute away & is always a pleasure to spend time on whether it be for relaxing, swimming or the amazing rock pools & caves. Dolphins seen daily from the house & beach. So many activities within a few minutes walk of Zenobia. The whole family enjoyed boat trips to see the dolphins & seals,. Lots of watersports available including coastal kayaking. This is our 5th year repeated visit to the property & area & we always find new places to explore. We recommend The Welsh Wildlife Nature Reserve for all ages to enjoy. We loved staying at Zenobia. The house is beautiful - gorgeous interiors, crisp White Company bed linen and views of the sea every morning when we get up in bed. We beach hopped the whole holiday and it's perfectly placed for some of the most beautiful beaches on the Welsh coast - would especially recommend Penbryn beach and the gorgeous Plwmp Tart cafe nearby for cakes. Thank you for a restful and beautiful base. Tŷ braf a bendigedig, wedi llwyr ymlacio yno a mwynhau! We had a lovely stay at Zenobia - kids had such fun on the beach, and of course ice cream from Creme Pen Cei every day! This was our second stay at Zenobia and will certainly be back again. The house is so spacious, and the kids loved their bunk beds. Gwych iawn! Left wanting for nothing. Lovely House and Interior,very comfortable and relaxing. Fantastic location,weather was good to us...alas the dolphins evaded us!" ~. Charlie, Sam, and March. ~ who stayed January 2010. "Lovely Stay - Zenobia is a great House. Even managed some Dolphin watching from the bedroom window. 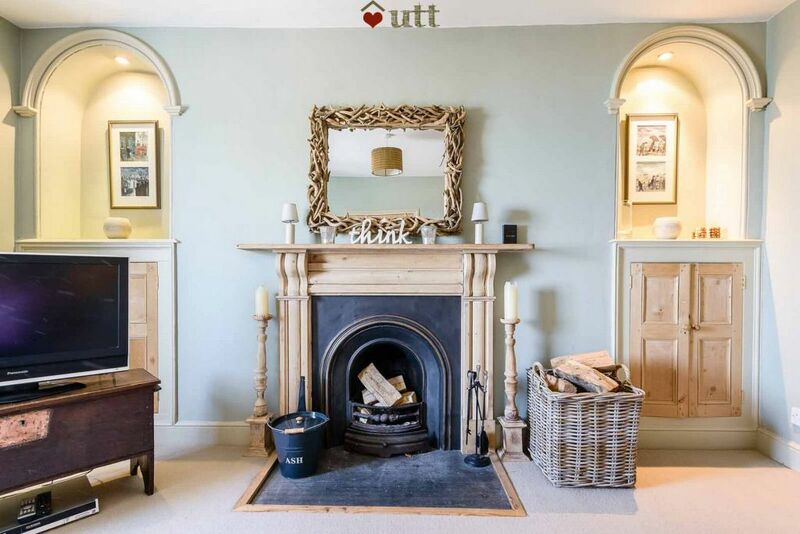 Thoroughly enjoyed our stay,we'd recommend it to anyone" . 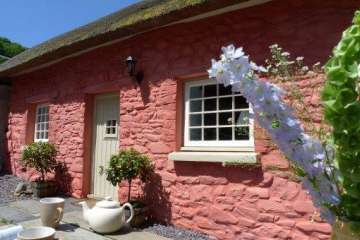 ~ Jackie, Karen, Mara and Patsy"
"A splendid introduction to this part of the Welsh coast-Spectacular views from the house and beautifully appointed. Thank You " ~ The Jones Family ~ who stayed September 2009.